Americans have been searching for the top weight loss solutions for decades. From fat burners to appetite suppressants, everyone is looking for that key ingredient to help them manage their weight. While we know there is no magic cure, there are some supplements that can help in the weight loss process. Raspberry ketones are one of those supplements. Raspberry ketones are a fat burning compound that aid in weight loss. Ketones are the natural chemicals that give raspberries their aroma and they claim to cause the fat within the cells to be broken down more effectively, allowing the individual to burn body fat faster. When taken regularly, raspberry ketones make the fat cells release more of the hormone adiponectin. Adiponectin is a hormone that is released by fat cells and is believe to play a role in regulating metabolism and blood sugar levels. Thin people have much higher levels of adiponectin than those who are overweight. Raspberry ketones have been growing in popularity within the last few years. In 2012, Dr. Oz labeled raspberry ketones as a “Magic Weight Loss Pill,” causing the growth of raspberry ketones to skyrocket. Raspberry Ketones are part of the weight loss and weight management diet market, which is expected to grow exponentially during the next couple of years at a CAGR of 4.15% during the forecast period of 2017-2025. The market revenue is expected to increase from $15864.3 million in 2016 to $22918.8 by 2025 as more people are looking to fight obesity, lose weight, and live healthier lifestyles. Contact BioThrive Sciences for raspberry ketones manufacturing and formulation. We pride ourselves in providing quick turnarounds and custom formulations that meet your exact needs. 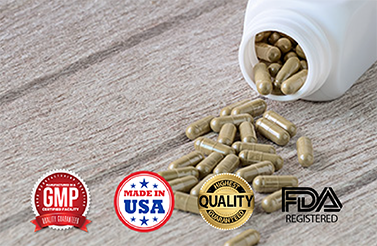 What sets us apart from other private label manufacturers is that we are GMP certified, and provide domestic and international shipping. In addition to our private label manufacturing, our team can help you create compliant labels marketing to your target audience. Contact us today to learn about our start-to-finish private label manufacturing services at 844-263-3657 and to ask about our free label design!